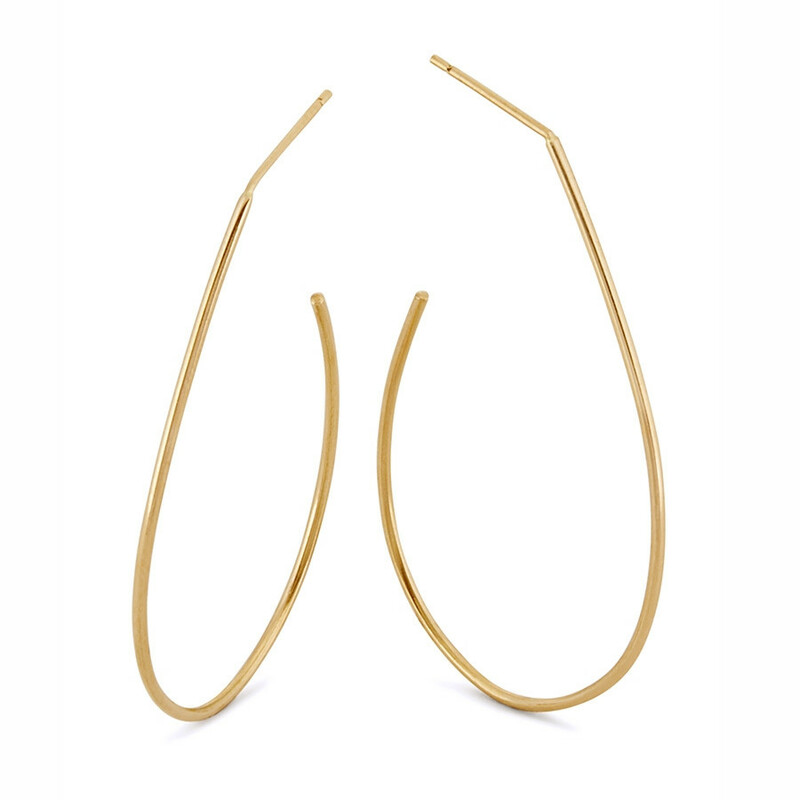 These high-polish hoop earrings with a teardrop shape are part of Lana Jewelry's Wire collection. Crafted in 14K yellow gold, they are 1" in diameter, dropping 1.7". These shapely Lana earrings will catch the light with a subtle shimmer, satisfying your quest for stylish jewelry.